Nature is very much red of tooth and claw in Richard Adams’ tale of a rag-tag group of rabbits seeking a new home after their warren is destroyed. And, for many people, the 1978 film version of Watership Down is up there with ‘that’ scene from Bambi as an indelible part of their childhood. Now, just miles from where Adams grew up, the Watermill Theatre is presenting a brand new adaptation of his classic novel by Rona Munro. Her version emphasises the idea of the enemy within. The fear and isolationism of General Woundwort’s police-state-like rule feels uncomfortably familiar. Munro’s adaptation, while not shying away from the darker allegorical overtones, still keeps things family friendly. 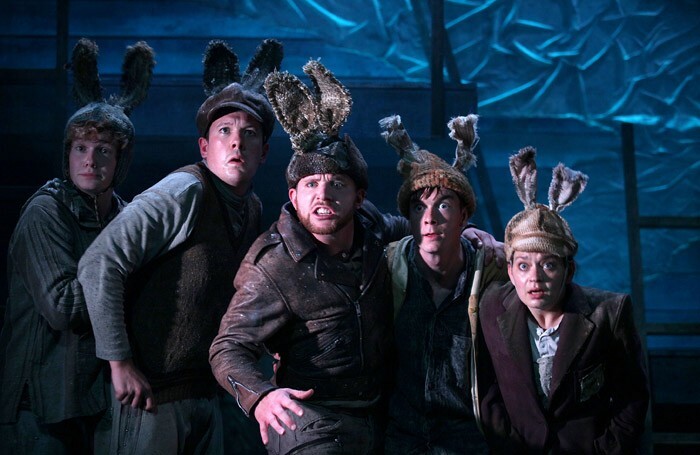 The low-fi design of Matt Hutchinson’s puppetry and the production’s poor-theatre-style choreography beautifully reflect the rabbits’ oral storytelling. 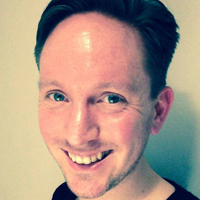 The cast double up on roles, with Edward Bennett bringing cold ruthlessness to Woundwort. There are skilled physical performers and puppeteers here too: Charlotte Bate’s boastful Russian seagull Kehaar is a delight. There are moments of real joy and fun in Adam Penford’s sprightly production. But – in spite of Jack Knowles’ lighting and Richard Kent’s split-level set doing a lot of good narrative work – there’s a lack of clarity in the play’s jumps in location and time. Particularly in the first half, Penford’s staging is let down by the unvarying folksiness of its tone. Too often, the characterisation blunts the teeth of the tale. There’s much light, but not quite enough shade here.